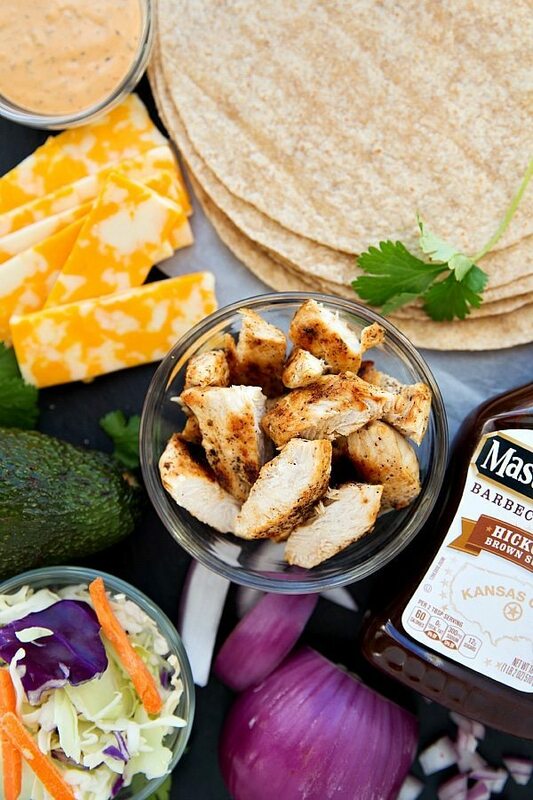 Quick and easy chipotle ranch BBQ Chicken Wraps filled with chicken, Colby jack cheese, avocado, chipotle ranch BBQ dressed coleslaw, red onions, and cilantro. 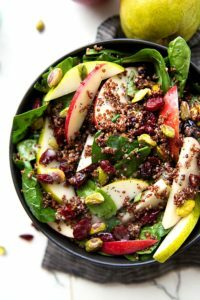 An update was promised about our Thanksgiving plans and since this recipe is based off of a recipe eaten during Thanksgiving weekend, we’ll talk Thanksgiving! Last year for Thanksgiving, we all road-tripped to Vermont (where the husband grew up.) We had an extremely untraditional Thanksgiving — stayed in a hotel, visited the husband’s old stomping grounds, shopped on black Friday, and had Thanksgiving dinner at…wait for it…Ihop. Yep, it was awesome! What actually happened was we were out driving around in pretty much the middle of no-where Vermont on Thursday night and every where was closed (of course, it was Thanksgiving!) The only restaurant we could find that was open was Ihop and so we had pancakes and french toast for Thanksgiving dinner and loved every second of it. And since I’m always working on Thanksgiving recipes for the months leading up to Thanksgiving, we’d already had our fill of turkey, potatoes, sweet potatoes, and all the pumpkin. Anyways, we had the absolute best Thanksgiving as a family last year, so we decided to be non-traditional AGAIN and do it all over. Except this year, we road-tripped to St. George. We got lucky with some warm weather the first day we were there and actually went swimming in an outdoor pool. ? The rest of the weekend, we explored downtown St. George, followed slash got super lost using a hand-written map we found online to a place called Sparkle Mountain (we eventually found it, but that’s a story in itself), ate way too much of the free continental breakfast, went to the dollar movies (Minions movie for the 2nd time because we have a toddler obsessed with that movie), test drove a car, finished about 90% of our Christmas shopping, caved on giving Grey some of his Christmas presents (#parentfail), and played about three too many hours of “Hungry, Hungry Hippos” (which could have been avoided if we hadn’t given Grey his presents early…), and had our Thanksgiving dinner at Ihop. Two years in a row! One of the lunches I had while in St. George was a BBQ chicken salad. It was seriously the best BBQ chicken salad I’ve ever had! Naturally, I wanted to re-create it for you all, but in a slightly different form — a wrap. Wraps are one of my go-to lunches so I always love trying new things in them. My typical wrap is turkey, avocado, lettuce, tomato OR avocado tuna salad (can you tell I like avocado? So does the toddler!). 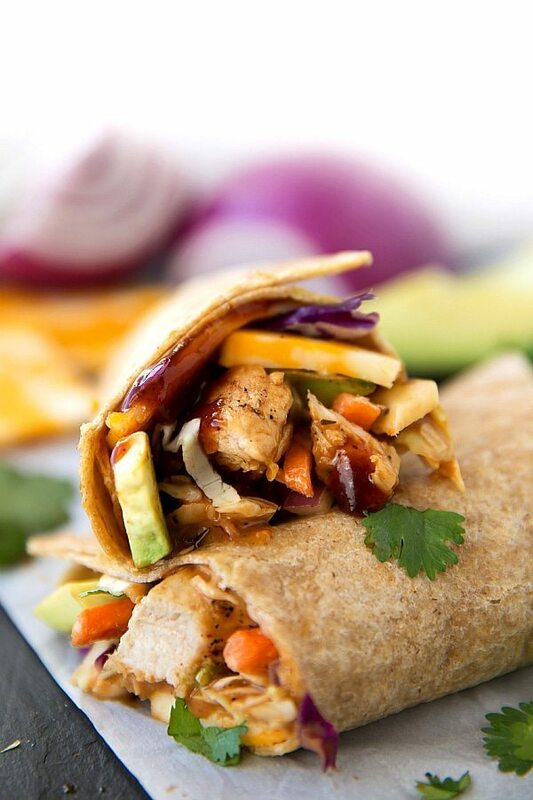 This wrap is basically a BBQ chicken salad and it’s definitely going on the weekly rotation for lunches! 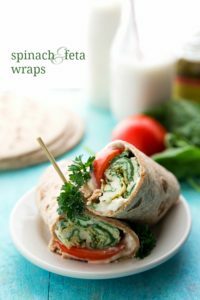 Since this wrap is for lunch, everything needs to be quick and easy! The chicken is cooked in one skillet (or it can be grilled). Then it’s just slicing some cheese, chopping up an avocado, and tossing a coleslaw package with a 2-ingredient dressing. That dressing? SO easy. Just mix some prepared ranch dressing (plain ranch or chipotle ranch if you like the chipotle flavor) with BBQ sauce. I used Hickory Brown Sugar BBQ sauce because I love the brown sugar and smokey flavor — it pairs so well with chipotle ranch. Then what you pile on your wrap is really up to you! Our favorites? Colby-jack cheese, a ripe avocado, some red onion (actually I’m the only one in the family that likes red onions), and fresh cilantro. Heat up the olive oil in a large non-stick skillet over medium-high heat. Once the skillet is really hot, use tongs to place the chicken in the skillet. Allow it to brown for about 3-5 minutes and then flip the chicken to the other side. Cover the skillet and reduce the heat to just below medium heat. Cook for another 5-8 minutes (depending on how thick the breasts are) or until completely cooked through. Remove the chicken onto a cutting board and allow to cool while prepping the other ingredients. Top the tortillas with the dressed coleslaw and whatever toppings you enjoy. I put on Colby Jack cheese slices, sliced avocado pieces, some red onion slices, and fresh cilantro. Chop up the slightly cooled chicken into bite-sized pieces and add to the tortilla. Squeeze on some extra BBQ sauce on the chicken if desired. Roll them up and enjoy immediately. Sounds like you had a wonderful thanksgiving! And these wraps look just wonderful! All those flavors! These wraps look seriously epic! Yuuummm!! Every part of this wrap sounds incredible!! 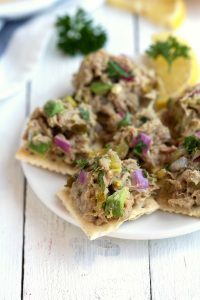 Adding them to the dinner list for this weekend!!!! Hi Chelsea! Have been in a serious, “hungry for something, but don’t know what? “,rut, for quite some time. Believe this is what the mommy ordered! Very difficult to get “them”to eat a variety of veggies.Not like cabbage is weird or gross.Will.make the dressing homemade as well. Will be soo much better! Perfect for a light supper with baking and candymaking season, (have done none yet, UUGGHH),.THANKS SO MUCH, HAPPY HOLIDAYS, HUN!! !